Great place for a family of 4! My family and I made a trip up to Tahoe for a wedding. Our kids are ages 5 & 7. We have used vacation rentals in Tahoe, SoCal, Hawaii, Costa Rica, and Italy. From start to finish this was a great rental experience! Keys are picked up at the management office that wasn't too far from the rental so no big deal. 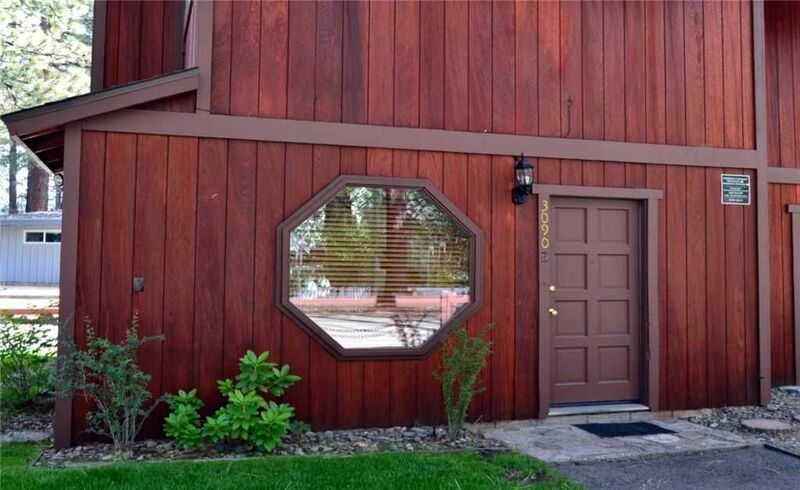 The rental is very close to the main street, various shops/eateries and Safeway. Upon arrival I was very impressed by the look of the rental. The unit shares one wall with another rental but they have separate driveways and outside areas. The driveway can fit two cars comfortably. There is a picnic table, a couple of benches, and a small BBQ. The downstairs area is small but not a concern. The kitchen was modern and held all the standard cookware including a toaster and coffeemaker. The bathrooms are very clean and modern. The two bedrooms were standard with two queen beds. No a/c! But they provide a table fan upstairs. Weather was about 80s when visiting and the fan and/or leaving the window open most of the night was sufficient. All the appliances, shower, toilets were in perfect working condition. My one and only concern, which I noted in the questionnaire they give us, was this little shelf upstairs. The shelf is situated between one of the bedrooms and the bathroom. There was about 3 levels and they were all filled to the max with shot glasses. My biggest fear was one of my kids running out of the bedroom and crashing into the shelf. I would not recommend this rental if your kids are overly energetic or under 5 years old if you think your child will end up knocking into it or pulling it down. Otherwise, this is an excellent rental that I would use again and recommend to friends and family.